Maybe you’re considering getting a little extra storage space, but you’re hesitating because you have questions. Will my stuff really be safe? How do I know my stuff won’t get damaged while it’s there? Will I have to talk to people? You’d like a place to keep a couple things you don’t use often, but for whatever reason, you can’t picture yourself choosing to use a self-storage facility. You might even think places like Storage Direct are just for pack rats. 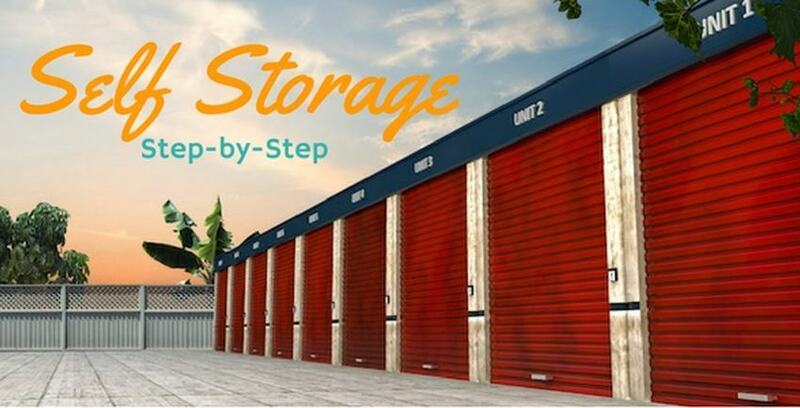 We’re going to try to clear up some of the self-storage questions and misconceptions you have by walking you through exactly what happens when you come to one of our facilities. When considering storage options, the first thing you should do is figure out what you’re storing and how much space you want. Storage Direct facilities can accommodate virtually any need you could have. Whether you just need to put away a few things you don’t use very often, like those golf clubs you haven’t touched in 15 years, stacks of birthday cards, or your 5th grade spelling bee ribbons, or you need a place to keep your RV, boat, or car, we have the right fit for you. If you need extra security, temperature-sensitive storage, 24-hour access, drive-up access, or anything else you can think of, chances are we’ll be able to arrange it. Each of our locations has a page explaining the amenities offered at that particular facility, so find one near you that has everything you need. The site page of each facility also lists all the sizes available, the starting price of those units, and even explains what the units would be best suited for storing. Once you’ve decided, it’s as easy as reserving or renting the unit you want online or over the phone. Then, you see our facility manager, who is on-site during all business hours, to get the code for the facility’s gate and the key for your particular unit or units. It’s that simple. You’ve chosen the most convenient location for you and reserved the unit or units you need. Your next step is packing up and transporting the stuff you’re putting into storage. If you need high-quality cardboard boxes or any other packing supplies, all Storage Direct locations offer storage merchandise on-site. Many of our locations also rent moving trucks. We here at Storage Direct have a bit of experience moving, so if you want some help, feel free to ask, or check out this advice from Storage Direct managers. Once you’re all boxed up and your car, motorcycle, van, scooter, RV, or unicycle is full to bursting, you’re done with the hard part! Now, it’s as easy as driving to the facility at the time that works best for you. Directions to all locations are available online. We do our best to have flexible hours, but you should check to see when your facility is accessible. Remember, even if our office is closed, you’ll be able to access your unit any time during the gate hours. You can find all our hours on your location’s page. If you need to get into your unit at unconventional times for whatever reason, be sure to look into our 24-hour access options. Once you’ve arrived on-site, you pull up to the facility gate and input the code you received when you reserved your unit. This will let you into the storage area. Once inside, go to the location of your unit, unlock it using the key you received, and unpack your stuff. That’s really all there is to it! For maximum convenience, look into our drive-up options. These will let you drive your vehicle right up to your unit, for easy unpacking. We also have carts and other moving equipment available on-site to make your unpacking easier. Once your stuff is stored, just lock up your unit and you’re outta there. No fuss, no mess, no and moving-day-horror-story swapping (unless you have some really good ones). You pay us on a month-to-month basis by whatever method works for you, and we keep your stuff safe. That’s really it. The whole point of Storage Direct is making the moving and storing process as convenient and painless as possible. You get in and out fast, and don’t have to worry about where you stuff is or whether it’s safe. People use storage for all kinds of reasons, so no matter your needs, Storage Direct is ready to accommodate. Still have self-storage questions? Check out our exhaustive Self-Storage Guide for some pro storage tips and tricks. If you have a specific question, our FAQ probably has the answer. If you’ve got a different question, our customer service can help: by phone at 855-372-8292 or email at [email protected] Don’t worry about weird questions. We’ve probably heard weirder! Hopefully, this cleared up any confusion you may have had about how Storage Direct works. If you’re ready to find out for yourself how easy and convenient we can make your life, find a facility for you today!